With spring arriving, our thoughts are now turning to the spring holiday that most of us hold near and dear to our hearts. Mother’s Day is less than a month away, so it’s time to give lots of thought to how we will celebrate the day. 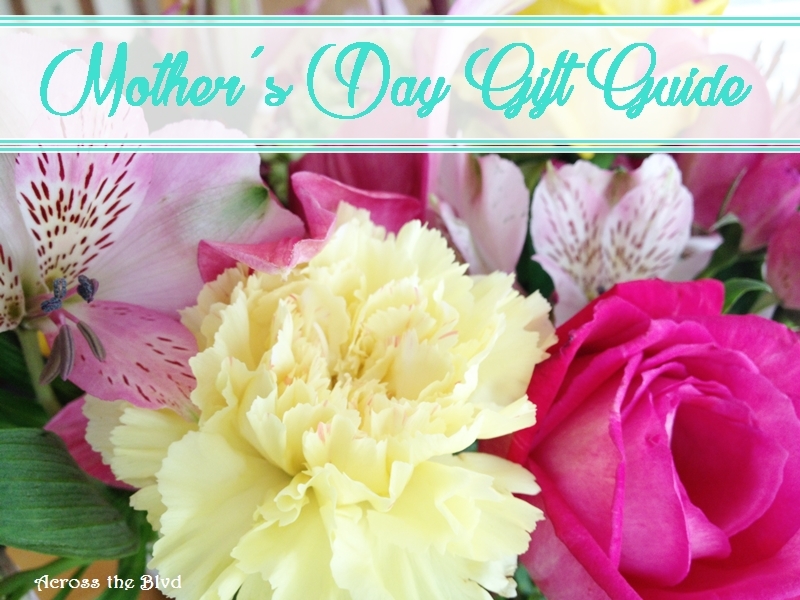 It’s also time to consider just what special gift we want to give to our mother. Disclaimer: This post was sponsored by UncommonGoods. Thank you for supporting the brands that support Across the Boulevard! While you’re thinking about gift ideas for Mother’s Day, I encourage you to have a look at UncommonGoods. You’ll find an assortment of unique gift ideas here. There are many wonderful ideas for Mother’s Day gifts. UncommonGoods is such a unique company. It’s an online marketplace that connects artists and makers of unique products with people looking for truly uncommon goods. Half of their products are handmade and most are made in the United States. Special emphasis is also given to products made with recycled/upcycled materials. You’ll find products by amazing artists and designers. UncommonGoods strives to impact the world in a positive way. I’ve spent time having a look around the site and there is something for every occasion! It’s such a fun site to spend some time visiting and browsing. Each product features a picture and story about the maker, giving you a glimpse into the creation of the product. As you’re searching for the perfect Mother’s Day gift, you’ll be treated to an array of wonderful products by truly talented artisans. Some fabulous gift ideas are waiting to be found here. 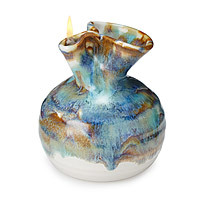 I absolutely love this pottery oil candle. I love personalized gifts and I found so many lovely and unique pieces. I enjoyed browsing through all of the personalized gifts here.. I was especially drawn to these birth month flower necklaces and earrings. Aren’t they beautiful? I think any mother would love these! These products would make wonderful gifts for any mother, grandmother or even you! If you’re looking for a gift for someone who loves adding unique decor pieces to their home decor, you’ll find that perfect gift in the collection found here. 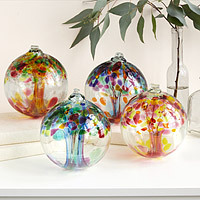 These Recycled Glass Tree Globes are beautiful depictions of relationships. I hope you’ll enjoy spending time searching UncommonGoods for that perfect Mother’s Day Gift! I’m sure you’ll fall in love with many of the beautiful creations! I’d love to know what some of your favorites are! I am unfamiliar with this site. I had some fun looking around! I love some of the tote bags they have. Several wonderful gift ideas to be found here. Thanks for sharing. It’s full of unique pieces, isn’t it? I found many items I would love to have. I’ve pointed Gloria to it with a few hints. 🙂 Glad you enjoyed it!